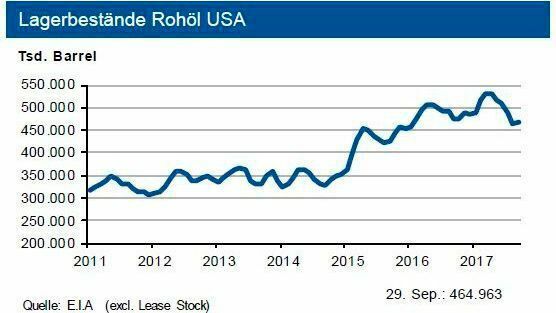 At the end of September 2017, US crude oil inventories stood at 465 million barrels, 1% below the previous year's level. Stocks of petrol and other distillates are down by 4 and 16% respectively, propane stocks are even 25% lower. This is mainly due to the interruption of production caused by hurricane Harvey.